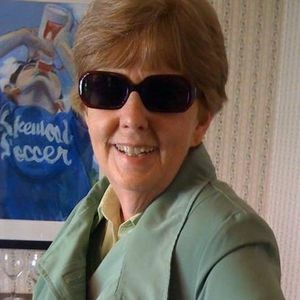 Luanne Drago (nee Reidy), age 76, of Avon, formerly of Rocky River, passed away Sunday, March 24, 2019. She was born on March 1, 1943 to William and Anne (nee Fradette) Reidy in Cleveland, Ohio. Luanne attended Marygrove College in Detroit, MI., graduating with a Bachelor's degree in Mathematics. Luanne started her career as a computer programmer at IBM, and worked as a High School Math Teacher before beginning her tenure at 5/3 Bank. Starting as a part-time teller, she worked her way up and retired from working as an Education Manager at the bank. She loved to quilt, golf, play bridge and sew. Always sharing her talent of sewing, she was involved in the Beck Center/Lakewood Little Theater costume department and donated her handmade quilts to those in need. Luanne is survived by her loving husband of 53 years, Anthony (Tony); children John (Heather) Drago of Westlake, Elizabeth (James) Milton of Bay Village, Michael Drago of Westlake and Anne Drago of Westlake; 3 grandchildren; and brothers William Reidy of Westlake and Richard Reidy of Ave Maria, FL. Preceded in death by her parents, William and Anne (nee Fradette) Reidy and brother Robert Reidy. Memorial contributions may be forwarded in Luanne's name to the Alzheimer's Association 225 N. Michigan Ave. Fl. 17, Chicago, IL 60601 www.alz.org. Family will receive friends on Sunday, March 31st from 2-6 pm at BUSCH FUNERAL HOME 32000 Detroit Rd., Avon. Funeral Mass will be held on Monday, April 1st at 11 am at St. Christopher Church 20141 Detroit Rd., Rocky River. Father John Chlebo will be officiating. Private family interment at St Joseph's Cemetery at a later date. Add your thoughts, prayers or a condolence to Luanne's guestbook.